So Intertoys went bankrupt and we all went hysterical. To many, it spelt apocalypse. 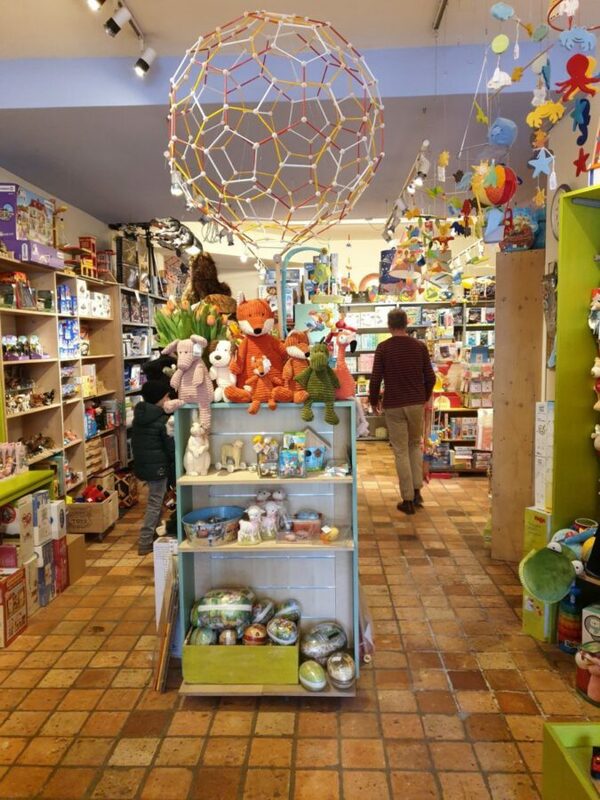 Would our kids be deprived of the magic of browsing through an actual toy store? Colourful and all that? Yes. Would we have to resign ourselves to online shopping from now on? Yes. Can we still use our Intertoys gift cards? No. But that’s ridiculous, we were away on voorjaarsvakantie last week, when news broke out. Still no. Obviously, this accounts for customer drama. It goes without saying that it all hit employees much harder. To everybody’s relief, in a happy twist of events and in striking resemblance to Bruce Willis blowing up the Armageddon asteroid, Green Swan stepped in to take over Intertoys. Hopefully, the plan goes through and job cuts are kept to a minimum. 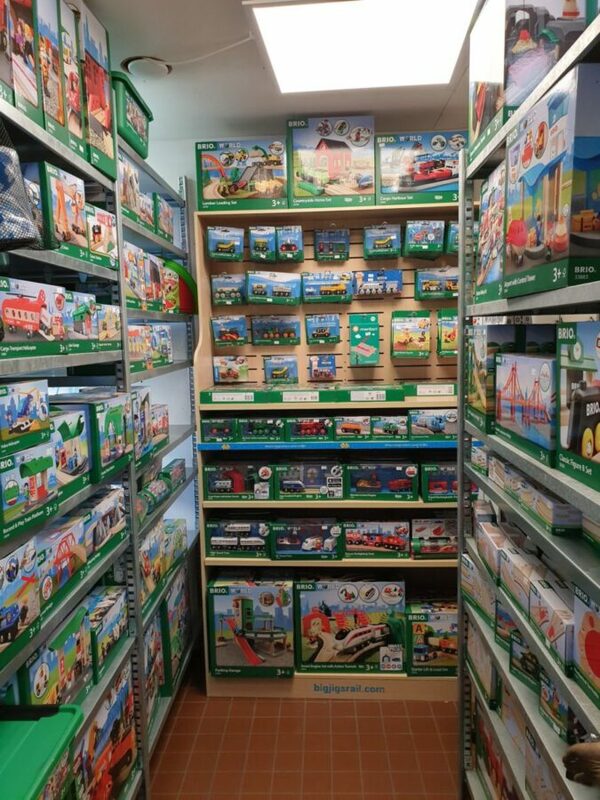 With its impressive collections of Playmobil and Lego (to name just a couple), Intertoys is one of a kind on the market. But it’s time we cooled off and acknowledged that there are many more toy stores out there for our kids to explore. Smaller, local, family-owned stores. Quintessentially Dutch. 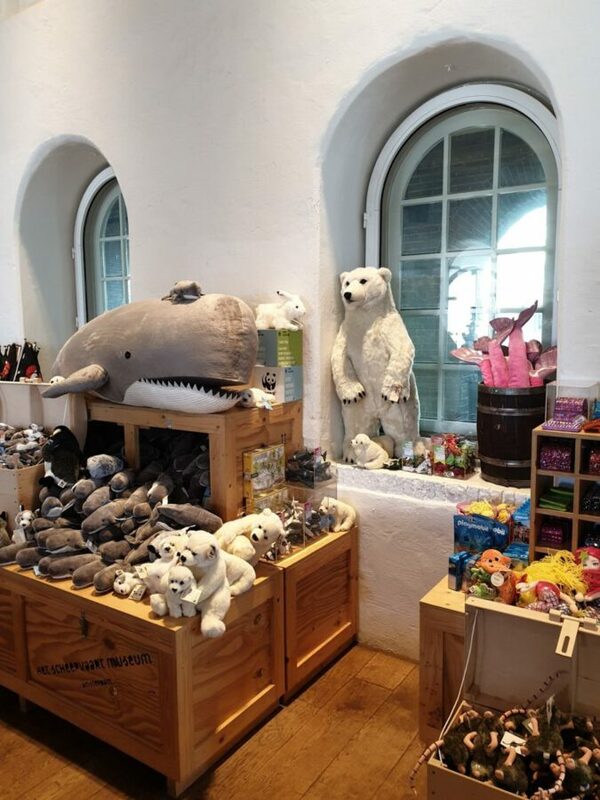 Themed museum stores. More wood, less plastic. Recycled plastic. 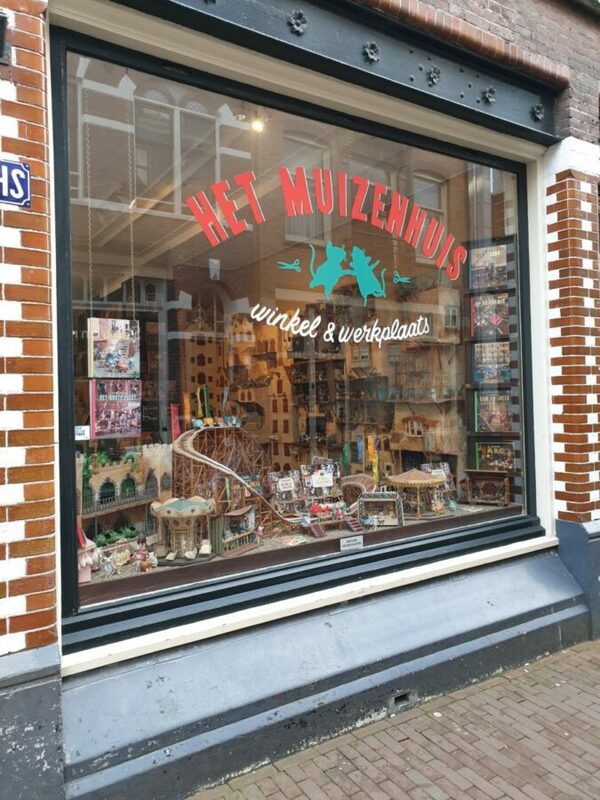 Luckily, we are still a long way from exclusively online toy shopping and this guide to Amsterdam’s best toy stores is here to prove it. 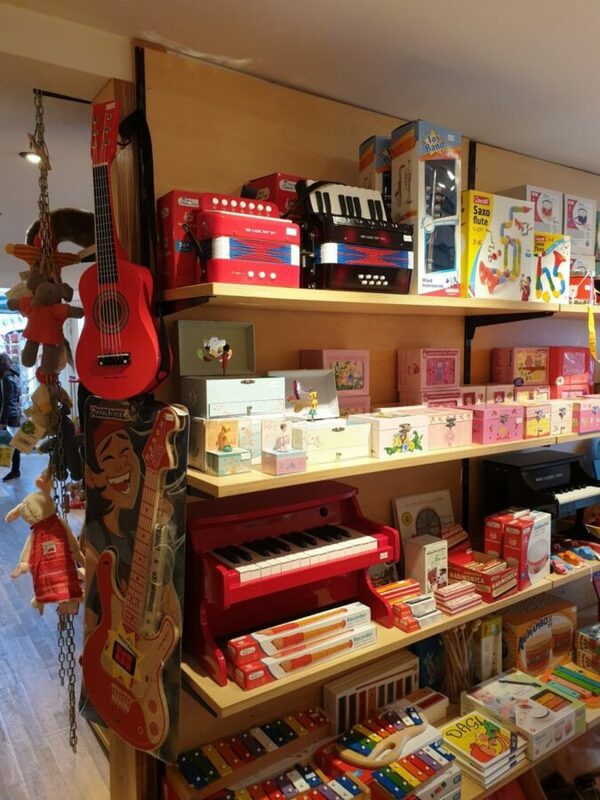 Located on a street corner in Overtoom, De Goochem is, to me, the most beautiful toy store in Amsterdam. It started in 1984, as part of a furniture workshop that also took to selling wooden toys as a response to increasing demand in the neighborhood. Its name is a perfect example of why you should never rely exclusively on Google Translate. According to my dictionary, it means ‘smart’. According to Google Translate, it means something you’re prone to feel like when you wake up to yet another typically Dutch weather report. 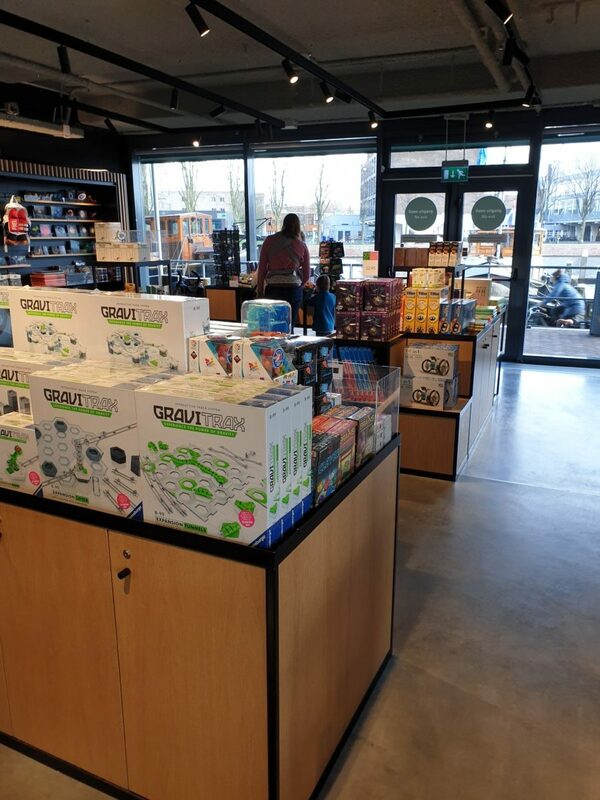 The shop carries the whole range of New Classic Toys, a very Dutch, but also pretty expensive brand, including their iconic harbor line, their wooden loopfiets‘s, the kitchen stuff and their musical instruments. There’s a broad selection of the painfully expensive German Fagus, a wide choice of Swedish Brio and lots of Melissa&Doug, Janod, Djeco and Goki. Constructions sets from Hape, amazing music-making modular systems from Xyloba, a broad variety of SmartGames, as well as quality baby toys such as Lamaze. Last but not least, the splendid wooden canal warehouses from Playwood and Van Dijk Toys. The upper floor is quiet and cozy, with a small selection of children’s books and character costumes. Just a stone’s throw away from the Rijksmuseum and across the Spiegelgracht from the perpetual crowds that suffocate Nieuwe Spiegelstraat, Tinkerbell is surprisingly serene. 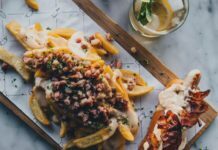 It targets and welcomes tourists as well as locals, but it doesn’t compromise on authenticity and character. It would fit perfectly in any of those charming little Dutch towns where the local, family-owned toy store is an institution. 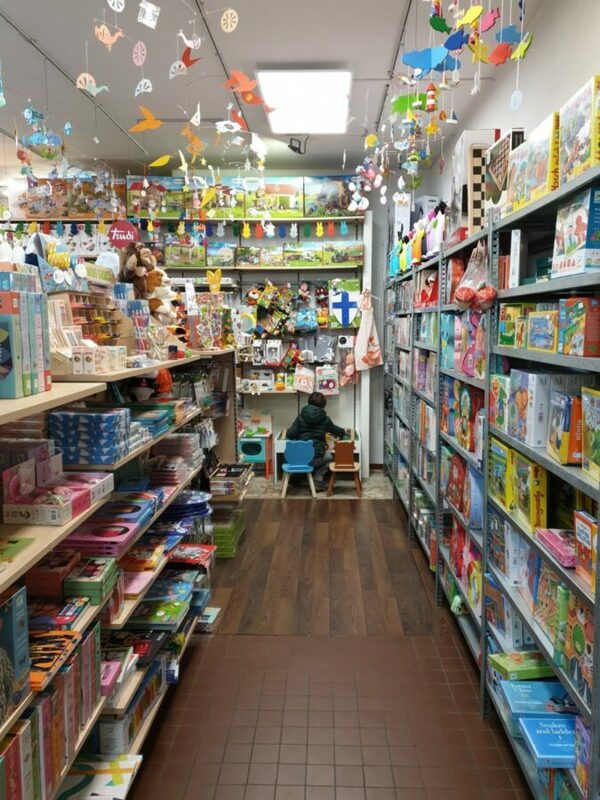 The store carries all the usual suspects: Brio, Janod, Djeco, Sylvanian Families, Siku, Geosmart, the BigJigs letter train carriages, but also an extensive collection of science-related toys and games. Its signature is Bear, Bubblebear, the plush bear that blows soap bubbles by the door. 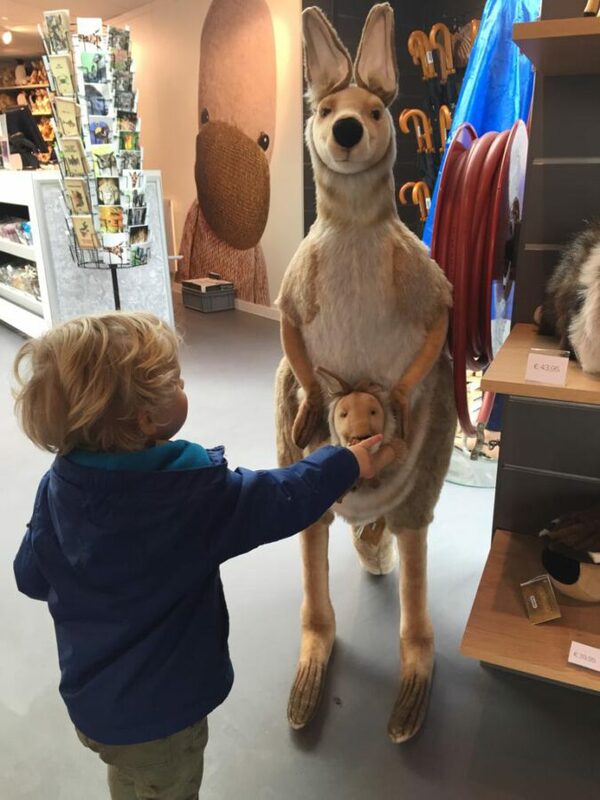 Likely to make you look twice and, after a brief moment of hesitation, step into the store and give in to the eager inner child. What? 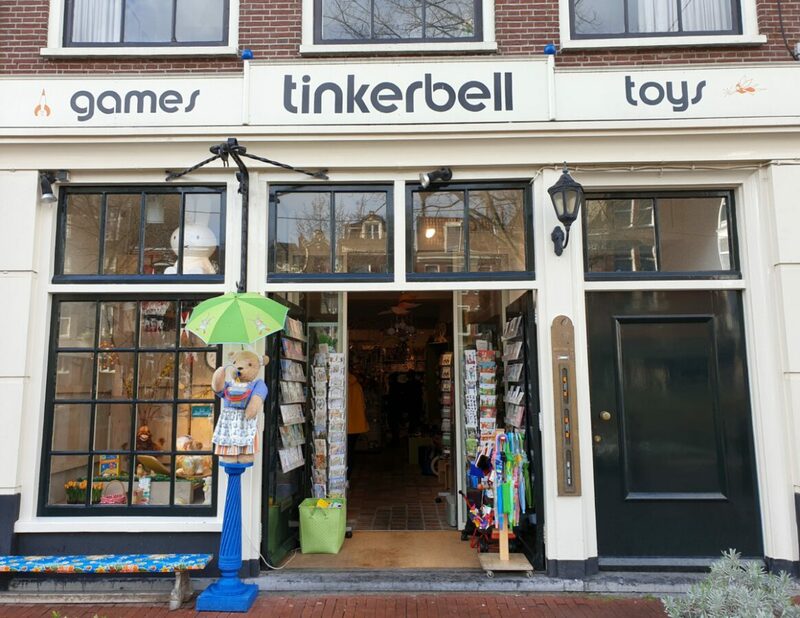 Not another typical Dutch toy store with an English name! Eye rolling coming my way and rightly so. But yes, Gone with the wind is as Dutch as can be. 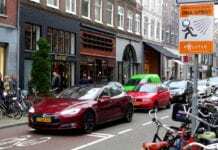 Despite its location on Wijzelstraat, just a short distance from the Bloemenmarkt, one of Amsterdam’s busiest spots and, sadly, anything but a flower market nowadays. Closer to where we live than other similar stores, Gone with the wind is our go-to toy shop. The kind of place where they greet you as a regular after just a few visits. And, increasingly important in a city where English almost always prevails, the kind of place where people don’t switch language and attitude as soon as they sense your wavering Dutch. The store carries, among others, the largest selections of Brio and Siku that I have seen around town, but also Janod, Djeco, Grimm’s, Monchhichi, Sigikid, Green Toys and Trunki ride on suitcases. 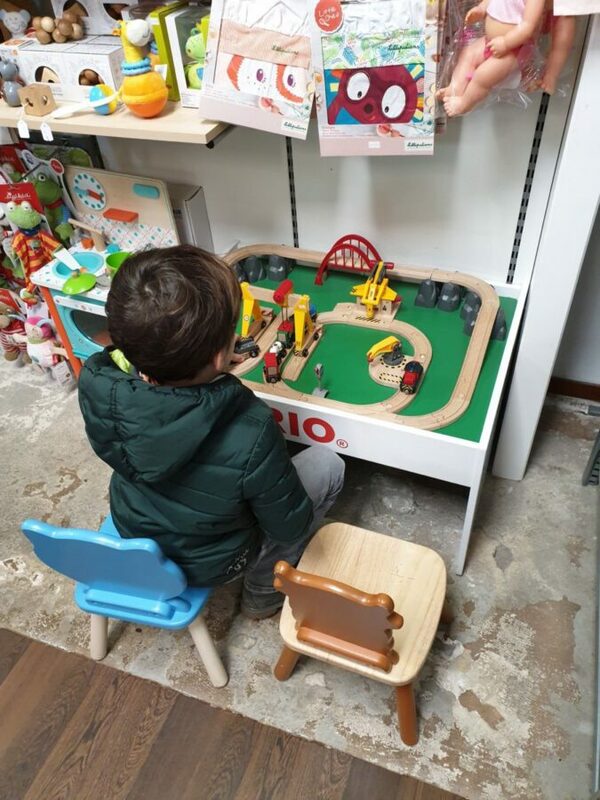 There is a small play corner at the back of the store, with a Brio table and two seats. Not exactly a toy store. Much more than that, in fact. 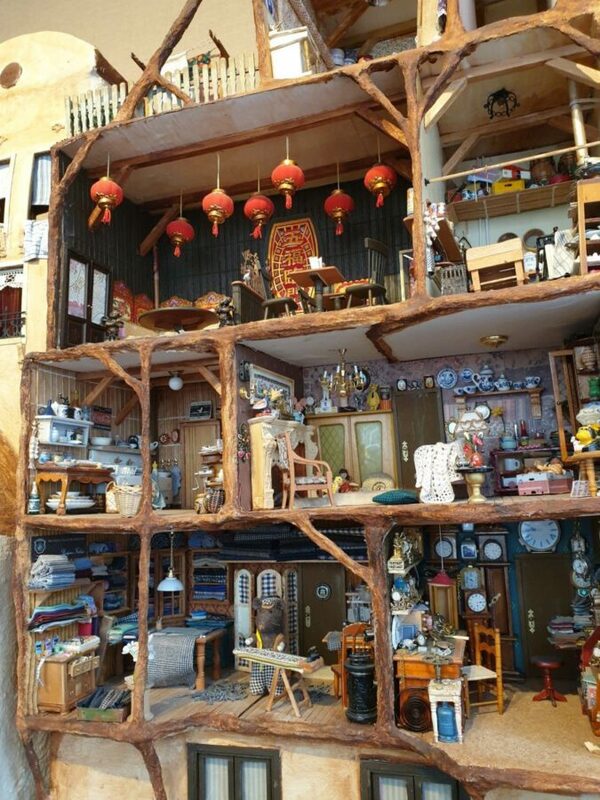 It is Karina Schaapman’s studio in the Jordaan, where she works on her famous art project, the mesmerizing Mouse Mansion. 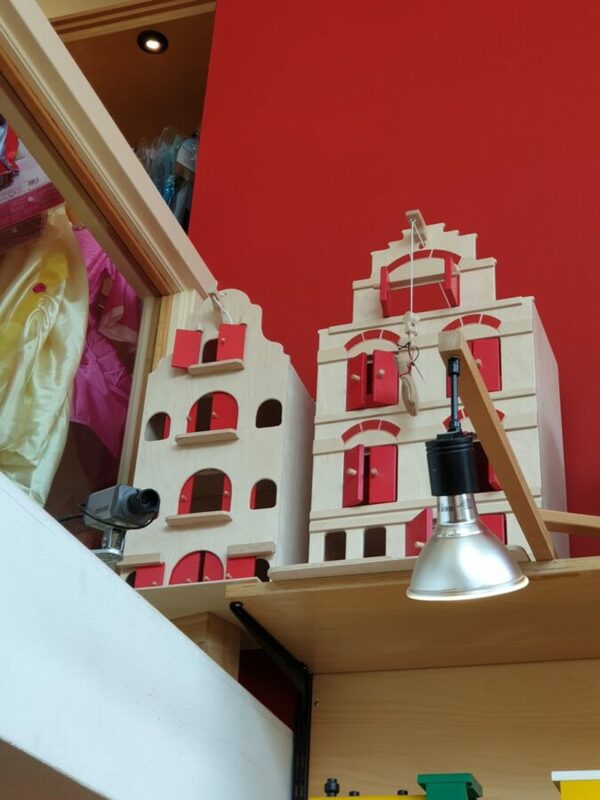 She built the structure as a backdrop for Het Muizenhuis, her children’s book series. Three meters high and two meters wide, the initial house consists of more than one hundred rooms, shops and factories. 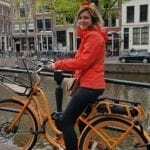 Karina spent years building and furnishing it. She used authentic fabrics from the 50s, 60s and 70s, cardboard boxes, papier-mâché and various types of waste material. Sam and Julia, the cute little mice characters at the center of the books, as well as their families, friends and neighbors, are also designed and made by Katrina. The house is on permanent exhibition in the youth section at the OBA (Openbare Bibliotheek Amsterdam) Oosterdok. Currently, the book series comprises no less than seven titles: Sam en Julia, Het theater, Het circus, Op de kermis, De haven, Het grote feest, De picknick. Some of them have been translated into 25 languages already. For every subsequent book after Sam and Julia, Karina built additional decor: a Muizenhuis theater, a fun fair, a circus, a harbor with streets, canals, alleys and quays. These charming sets are now on display in Het Muizenhuis winkel & werkplaats. Bring your kids here for some laid-back fun off the beaten path, while they explore the Muizenhuis universe and find out how it was brought to life. And don’t skip the bingo game. It requires kids to carefully inspect the whole structure in order to identify a few specific details. For instance, a particular mouse sitting on a particular toilet seat. The shop sells all the books in the series, including translations into French, German, Spanish, Swedish and Russian, as well as give-away miniature books, Sam and Julia knuffels and building blocks. 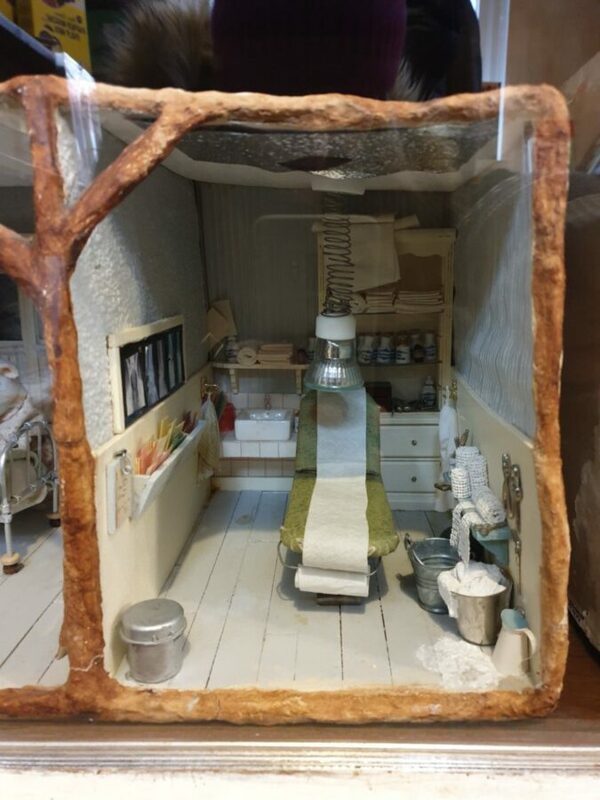 Do you feel up to the challenge of building your own mouse room at home? Good, a rich supply of tiny pieces of furniture and tableware, cardboard and cloth are also available. The one and only. 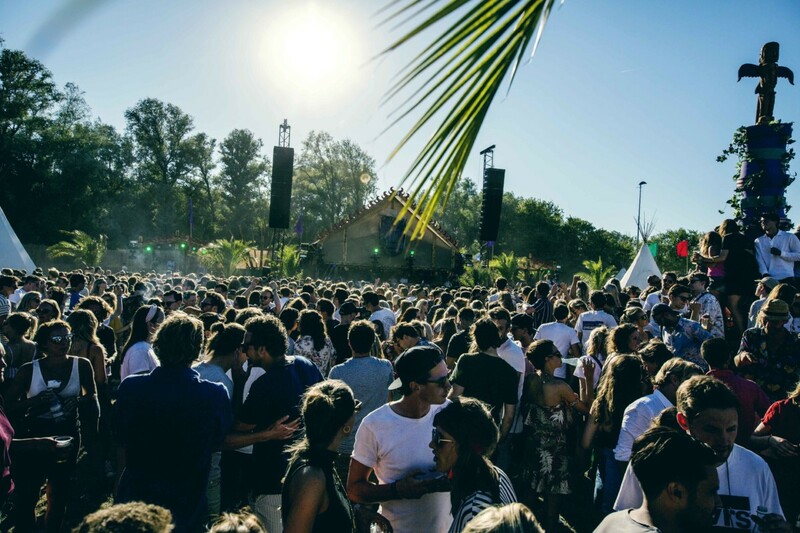 If you navigate life in Amsterdam with small children, then Artis is probably one of your safe havens. It sure is one of mine. Fascinating (and respected!) animals, no traffic, a big playground, perfect lawns and careful gardening in sync with the seasons, in what is downright the most beautiful park of Amsterdam. What else could a mom wish for? Add to this the fact that, despite being the oldest zoo in the country, Artis boasts innovative enclosures, designed to both enhance the visitor experience and improve animal life. 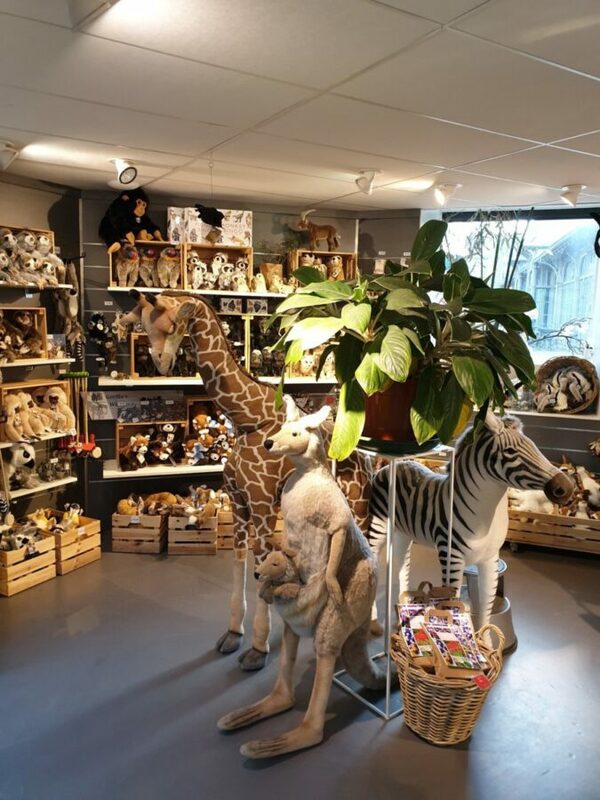 The shop prides itself on the cutest, fluffiest and biggest animal knuffels in town, as well as an excellent selection of animal-themed books and puzzle blocks. However, it is only accessible from within the zoo, with a day ticket or a member card. This means spontaneous shopping is less of an option. Day tickets are expensive, but the Artis membership card gives you year-long unlimited access to the zoo at a convenient price, so it is a very smart move. One of Amsterdam’s best-known landmarks, Nemo needs no introduction. 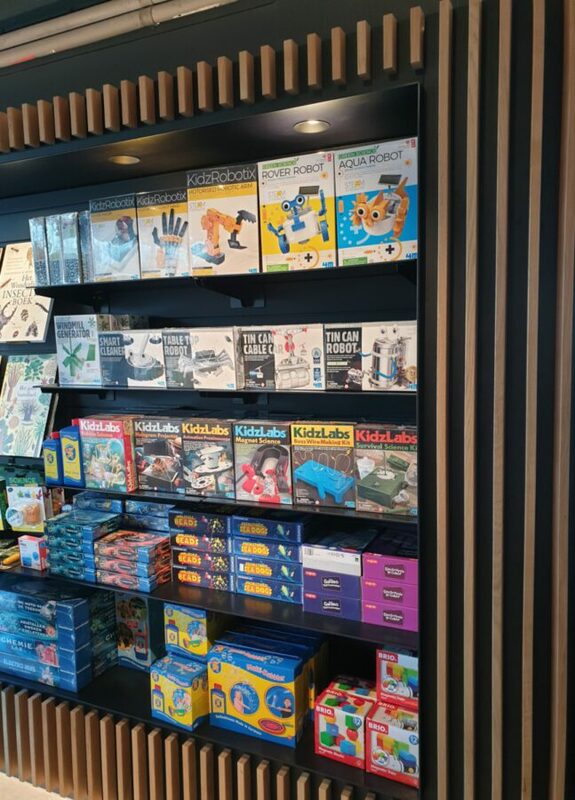 The museum shop is packed with educational toys, games and books for science-minded kids and teens. The groundbreaking patent holders of tomorrow, let’s hope. KidzLabs, KidzRobotix, GraviTrax, plasma balls are just a few examples. There’s much more. Access to the shop is not restricted to museum guests. Everyone is welcome to take a look. Het Scheepvaartmuseum is Nemo’s gorgeous next-door neighbor and equally as popular. The showpiece of the museum is The Amsterdam, a replica of the 1749 VOC ship, on the museum dock since 1991. It is a magnet for explorers of all ages. 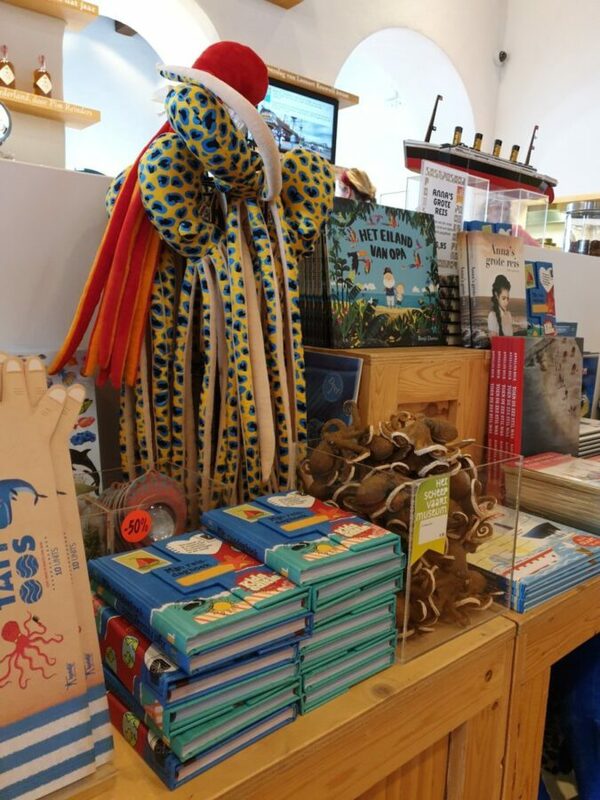 Het Pakhuys, the maritime-themed museum shop, caters for all captain, pirate and shipbuilder wannabes out there. It displays, among others, two trunks packed full of captain hats, pirate bandanas and eye patches, 3D models of famous ships, books and wooden boat models in all sizes. Occasionally, also huge Playmobil pirate ships. The shop is open to everyone, not just museum visitors. 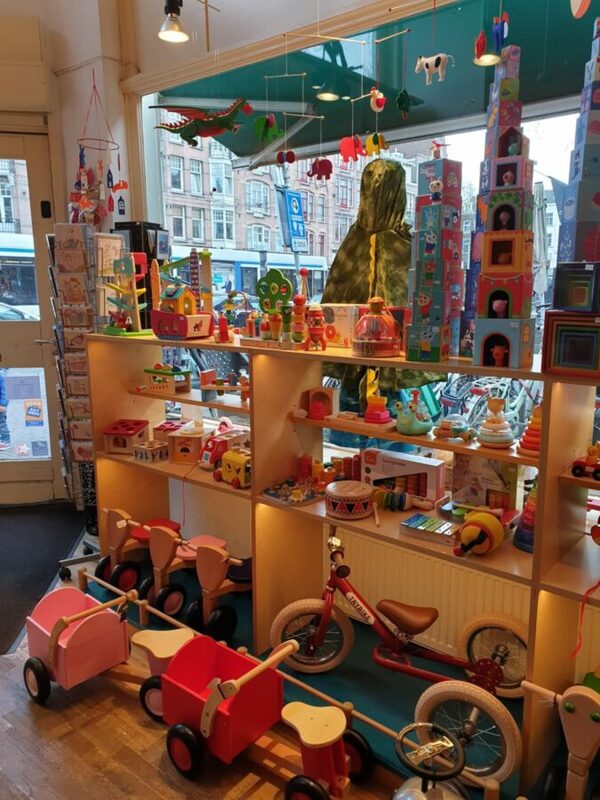 Have you ever been to these toy shops in Amsterdam? Let us know your favourite in the comments! What a very kind review about our store Gone with the wind. It made us smile from ear to ear.